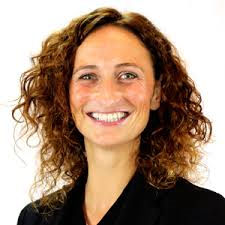 Sinn Fein MEP Lynn Boylan has refuted claims that party MEPs have voted in favour of water charges in the EU Parliament. However, Boylan has slammed the comments as an attempt by Fine Gael “to distract from the fact that in the parliament today they failed to vote in favour of a report which enshrines the human right to water. “In fact, they were the only Irish MEPs to vote against the report. “Irish MEPs who have also consistently opposed Fine Gael/Labour’s water charges voted in favour of this report highlighting Fine Gael’s dishonesty. “Sinn Féin’s position is clear – we are absolutely opposed to domestic water charges. “The wording they mention came from another political group. “I did not write it and did not vote in favour of the wording in question during the committee stage and unfortunately Fine Gael have blocked all attempts to remove the wording in the plenary. “This report is a compromise document which received over 250 amendments from all the different political groups yet we managed to keep most but not all the progressive elements. “This in itself is a significant achievement and amounts to a huge victory for the citizens and a major wake-up call for the Commission and certain Member States. “This report calls on the Commission to come forward with a legislative proposal to enshrine the human right to water, to not promote the privatisation of water services and to exclude water services from the internal market and any trade agreements including TTIP. “I am also extremely happy that water is finally recognised as a public good and not a commodity in an EU document. “The supposed reasons Fine Gael has given for voting against – that so-called compromise amendments did not pass is simply not true. “There were no compromise amendments to vote on – they voted against because they failed to remove the most progressive elements of the report. “They failed to delete criticism of the Troika, failed to delete the call on the Commission to back off Member States on how they manage their water services and failed to get rid of criticism of privatisation in the water sector.